Boomer Blake is a Singer/ Songwriter whose lyrics & stories fall into the Tropical Rock genre, but a childhood of influences the likes of Billy Joel, James Taylor, Kenny Rogers, Lionel Richie, and the Doobie Brothers means his musical arrangements can span a wide range of rhythms and styles! Boomer was raised in Northern New Jersey not far from the hometowns of some of the greats like Sinatra, Frankie Valli, Bon Jovi, even Eddie Rabbit! Growing up, he took every chance to sing or perform that came his way. He studied music from public school through college, and performed in community theater, National choirs, theme parks and cruise ships. Boomer began building a Songwriting catalogue in college, but only made it a serious focus these last 10 years. His first single “Smooth Whiskey Weekend” was first played by Trop Rock DJ, Lyle Wilson on Radio A1A back in the Spring of 2016, and immediately hit the Weekly Trop 40 at #15! It topped out at #3 and stayed on the charts for 4 months till his next 2 singles “Livin’ Loose in My Barefoot Shoes” and “Escape for a Smile” took its place later that summer. Since then, all of Boomers songs have had places on the Weekly Trop 40, the Shore Life Radio Top 20 Most Requested, and can be heard on multiple Trop Rock oriented Radio Stations. 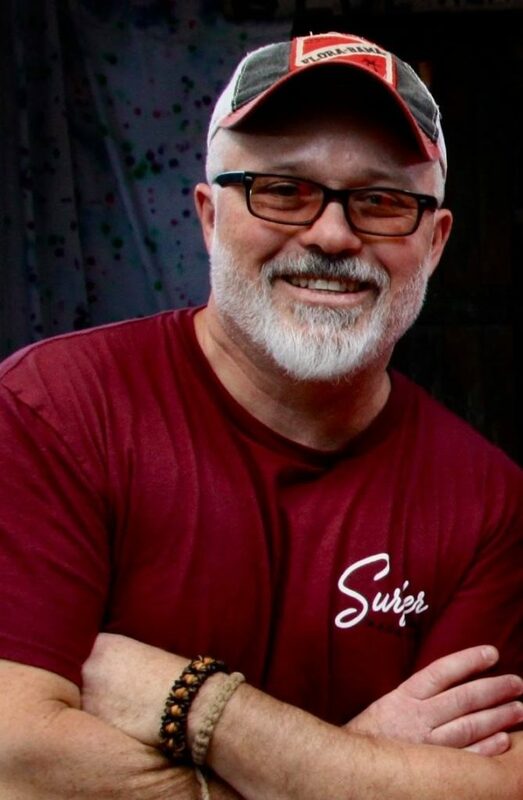 Boomer can be found gigging solo along the Jersey Shore, nationally with fellow Singer/ Songwriter Danny Rosado, as a call-in guest from time to time on Tiki Man Radio, or just Livin’ Loose in his barefoot shoes with a rum drink in hand chillaxing at his favorite tiki bar!